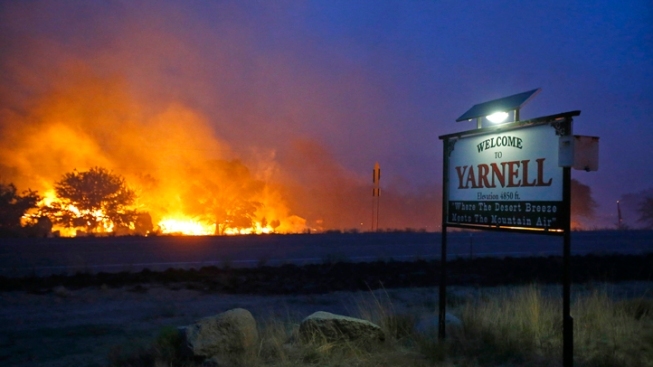 A wildfire burns homes in Yarnell, Ariz. on Sunday, June 30, 2013. An Arizona fire chief says the wildfire that killed 19 members of his crew near the town was moving fast and fueled by hot, dry conditions. The fire started with a lightning strike on Friday and spread to 2,000 acres on Sunday amid triple-digit temperatures. The wildfire in Arizona that claimed the lives of 19 elite firefighters has been the deadliest day for firefighters since the Sept. 11, 2001, terrorist attacks, where 343 rescuers lost their lives. The only wildfires with a higher firefighter death count than Arizona's were when a fire in Los Angeles’ Griffith Park killed 29 people in 1933 and when 86 died in The Great Fire of 1910 that burned through Washington, Idaho and Montana. Sept. 11, 2001 - 341 firefighters and two paramedics died during the rescue efforts at the World Trade Center's twin towers. Aug. 20, 1910 -- The Great Fire of 1910 burned about 3 million acres in Washington, Idaho and Montana, taking with it the lives of 86 firefighters. Oct. 3, 1933 -- The Griffith Park wildfire in Los Angeles killed 29 firefighters. April 16-17, 1947 -- 27 firefighters killed after fires and ammonium nitrate explosions aboard two ships docked in Texas City, Texas. Dec. 22, 1910 -- 21 firefighters killed at a stockyard and cold storage warehouse in Chicago. June 30, 2013 -- 19 members of an elite crew are killed in a fire northwest of Phoenix that lit up the night sky in the forest above the town of Yarnell. The fast-moving blaze fueled by hot, dry conditions is the deadliest wildfire involving firefighters in the U.S. for at least 30 years. 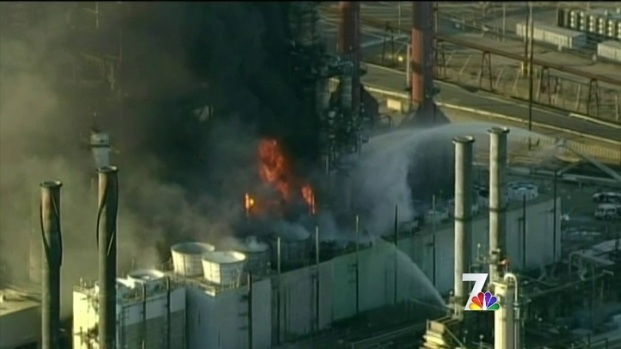 July 29, 1956 --19 firefighters killed at the Shamrock Oil and Gas Corp. refinery in Sun Ray, Texas. July 9, 1953 -- 15 firefighters killed in a wildfire in the Mendocino National Forest in California. July 9, 1953 -- The Rattlesnake fire in Southern California took the lives of 15 firefighters battling a blaze in Mendocino National Forest. July 6, 1994 -- A blaze near Glenwood Springs, Colo., killed 14 firefighters who were overtaken by a sudden explosion of flames. The lightning-sparked Storm King Mountain blaze roared through shrubs as the firefighters scrambled uphill. Thirty-five firefighters on the mountain that day survived. March 10, 1946 -- 13 firefighters were killed when a roof collapsed at the Strand Theatre in Brockton, Mass. Aug. 5, 1949 --The Mann Gulch fire near Helena, Mont., killed 12 smokejumpers and a forest ranger after they were overrun by flames. Aug. 5, 2008 -- 9 people killed when a helicopter crashed shortly after taking off with a load offirefighters heading back to camp in Northern California. Seven of the dead were firefighters with Grayback Forestry Inc. The crew was fighting a forest fire on the Shasta-Trinity National Forest outside Redding, Calif.
June 17, 1972 -- 9 firefighters killed in a collapse at the Hotel Vendome, Boston. Aug. 24, 2003 -- 8 contract firefighters who had spent two weeks fighting an Idaho wildfire were killed on their way home when their van collided with a tractor-trailer and exploded into flames outside Vale, Ore. The firefighters, all men, worked for First Strike Environmental, a contract firefighting company and all were from Oregon.